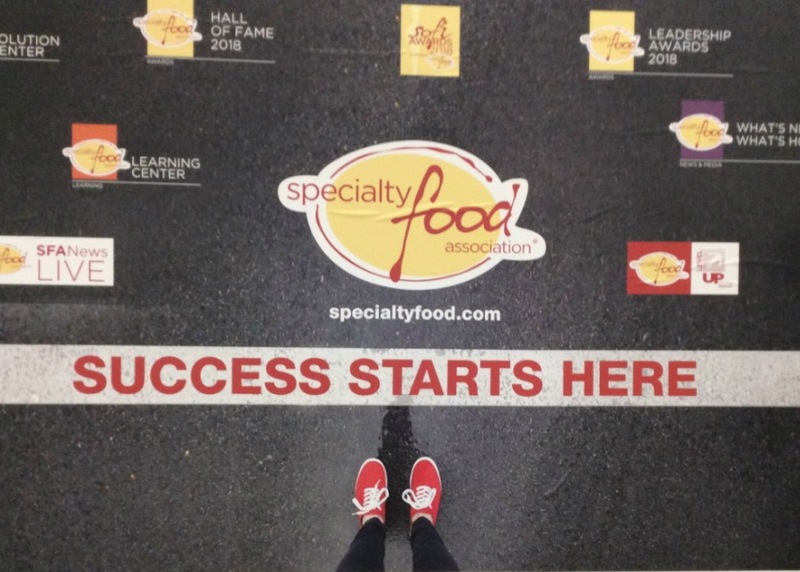 OU Kosher had so much fun at the Specialty Food Association Winter Fancy Food Show 2018. We came, we saw, we sampled. (Okay, we sampled a lot.) It was great to meet with all the OU Kosher-certified companies. Here’s the kosher scoop as to what’s trending from the Winter Fancy Food Show. OU Kosher Consumer Disclaimer: Please note, when searching for any of these trends, always look for the OU Kosher Certification Symbol. First let’s talk about the influence of the plant-based movement. As a whole, we noticed that vegan alternatives are one of the biggest trends from the Winter Fancy Food Show. Not that this is something new, but the boom in a more vegan/plant-based lifestyle is increasing and companies are accommodating this trend. We saw fishless sushi, and red velvet cupcakes frosted in a faux “cream cheese” frosting so good that you’d be able to convert lactose steadfasts. Following as a close cousin to the vegan lifestyle, we saw a boom in plant-based protein powder. These protein powders are especially good in smoothies and used as a thickening agent in drinks. Additionally, we were inspired by the not-so-subtle influence of floral flavors (think olive oil with notes of lavender and edible petals adorned on everyday foods) and by the versatility of mushrooms. Don’t knock it until you’ve tried steak coated in porcini mushroom dust. Next, we saw a pattern of companies updating and tweaking the usual. This was especially prevalent in the snack industry and updates on everyday fare. Foodie favorites are going portable. Remember when you were that person who carried around a portable version of your favorite hot sauce? People are hopping on the foodie bandwagon and the need for companies to make portable versions of their favorite condiments is cropping up. You will see portable olive oil (flavor infused, of course) and salad dressings. Additionally, we saw companies going gourmet on old time favorites. They say nothing is like the taste of home and companies are playing on childhood nostalgia with a grown-up twist. Think gluten-free cookie dough, refined sugarless candies, and healthier versions of childhood favorites. The packaging is reflective of nostalgia as well; these products were packaged with vintage vibes, such as canisters of peanuts in old-fashioned tin cans. Following the healthier lifestyle movement, popped “chips” are a great alternative that “popped” up among many vendors. People love to snack, so this will always be on trend. Kombucha Tea has also made a huge comeback. Though it originated in China centuries ago, recently companies have begun to brew their own kombucha and consumers are reaping the antioxidant benefits. Finally, if it’s not gluten-free, then it better be worth it… Regular Bread is here to stay, with gluten, carbs and all. The bakeries were hit hard with the gluten-free turnaround but now they’re retaliating with artisanal bread so good you can’t resist. The last collective trend we noticed is that people want to have it all. They want their treats while maintaining a healthier lifestyle. Well, here are your options. While trending and kosher try to be synonymous, these are trends that were all over the Winter Fancy Food Show, always make sure a product has OU Kosher certification before purchasing. See posted images on Facebook, Twitter. Making Your Fridge Shomer Shabbos.